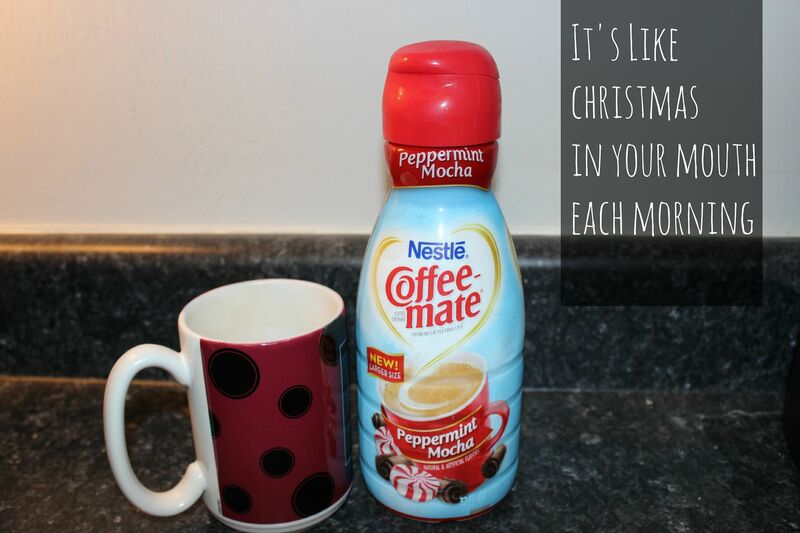 To CoffeeMate for making Peppermint Mocha Coffee Creamer available all. year. long. Now I have the opportunity to taste Christmas in my mouth every single morning. Which reminds me, thanks to my bestie Erica for telling me that there's only 112 days until Christmas and there are only 16 more shopping weekends left! A huge thank you to Rodan + Fields for allowing me to go foundation free more often than not. Facebook and Instagram, words can't express my gratitude for sucking me in and offering me hours of entertainment, even when I didn't know I was bored. Really, how did you know? Sephora, I didn't know how much I loved you until you were gone. But you have a pretty rockin' website and customer loyalty program that is keeping me mighty happy. My Sperrys deserve a pretty big thanks as well. This recovering high heel addict sure thanks you for keeping my feet looking cute while also providing a ton of comfort. And oh my goodness, the compliments. I had no clue that so many people loved Sperrys. Where have you been all my life? The Wheels on the Bus, you might be annoying to some people but boy are you a life saver to me! When I have a fussy child, all I have to do is sing your catchy little tune and my precious red head immediately starts smiling. I need some additional lyrics for a long car ride though. I've started adding seahorses and New Jerseyans to our rendition. Love netflix and hulu. It the only way to watch stateside show. I just got my first pair of sperry's this year and I wear them all the time. I love Hart of Dixie, great show! Netflix is the best!! And Once Upon A Time is my favorite!!!! The new season starts this month!! These aregreat and I second the wheels on the bus song! I love my Sperrys.... I resisted for a while, but once I gave in I was in love! I recently discovered what the fuss was about Toms too... comfort never felt so good!